Rajnandgaon district of Chhattisgarh gets its own BPO, laced with all the modern facilities to provide employment to the youth. This BPO has facilitated the youngsters from small towns nearby and the surrounding villages to earn a good salary while staying in their hometowns. This attempt of two young entrepreneurs is really commendable which has been praised by all the villagers who were unable to go outside and look for employment. 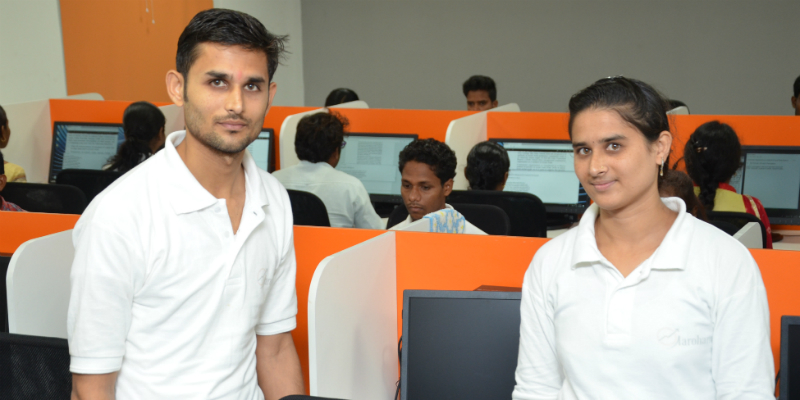 Like Tripti and Keshav, 130 other young people from Rajnandgaon district have become employed with this BPO. This has spread a wave of delight amongst all the people. They have also become hopeful to support their family in a better way by bringing in a fixed amount of salary. This BPO has been the result of the strenuous efforts of two siblings, Tripti Joglekar and Keshav Joglekar. Tripti is pursuing the third year of her B.Sc. degree at the age of 25, while Keshav is in the first year. Their father, Madhukar Dattatreya Joglekar is posted as a timekeeper in the Central Public Works Department of Chhattisgarh government. His monthly income is about 20,000 rupees. Their mother, Sunita is a homemaker. The Joglekar family lives in the Navagaanv locality of Rajnandgaon. Both Tripti and Keshav had dreams of earning fame in the society and country. They aspired to do something which will bring them both name and wealth. They both were unaware as of how to approach their desires and bring success home, they were clueless about the chances they might be getting in life. At first, they thought of studying hard and earning valuable degrees upon which, they can bag in good jobs to support the nation. But they had a big hurdle on their path to success. It was of monetary access. They knew that their father's income was not enough to enroll them in some good coaching institution and help them sit for competitive examinations. It was already difficult to support 4 people in 20,000 rupees. While they did not have any financial crunch, the background was not strong enough to help them study further. The duo, Tripti and Keshav also started off taking a job after their Bachelor's so that they can support their parents, financially. This was the time when they came across the details of 'Aarohan' or BPO (Business Process Outsourcing) in a local newspaper. They got to know that Chhattisgarh government is about to start a BPO center in the Tedesara village of Rajnandgaon district. They also read that the government is planning to train young individuals in the activities of a BPO and then employ them at the centre. The advertisement published in the newspaper stated that there will be an examination conducted to select a few people who can work in the BPO. This was an opportunity, Tripti and Keshav did not want to miss. They immediately applied for the examination and were selected with their academic proficiency. They were trained for 45 days in the BPO. After this successful training period, they both were employed in E-catalyst Global Business Incubator Private Limited, a company based in Hyderabad, as 'Data Operator'. They were placed at a salary of 8000 rupees and are now working to digitalize various important documents of the organization. Tripti and Keshav are really happy over a lot of things. They are satisfied that they have been able to grab a job before they finished their Bachelor's degree and hence, they are hopeful towards supporting their family in a better way. They are also proud that they are one amongst the very few young candidates of the first batch of BPO, from their district. Tripti shares her joy of working by saying, "I wish to work in BPO, later as well. I aspire to become a team leader whereby I can train other individuals." On the other hand, Keshav wishes to earn as much experience and knowledge from his job at the BPO and then use it as his base to move to a foreign country and work there. They are assured that they will move through the metropolitan cities of the country to finally reach abroad. Rajnandgaon district of Chhattisgarh gets its own BPO, laced with all the modern facilities to provide employment to the youth. This BPO has facilitated the youngsters from small towns nearby and the surrounding villages to earn a good salary while staying in their hometowns. Many big companies are visiting the BPO at Rajnandgaon to train the unemployed youth and then provide them jobs at their organizations. 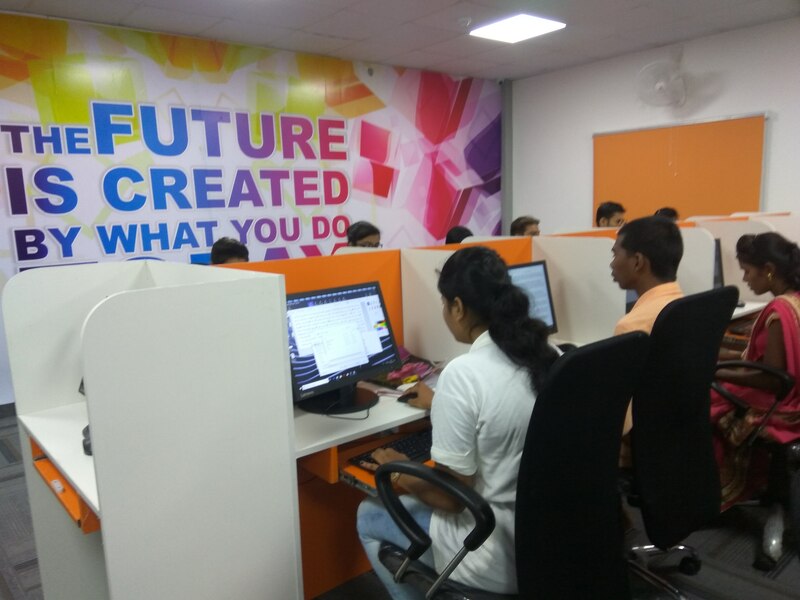 BPO has facilitated a mutual benefit amongst the companies and public; the companies are getting a more young force in their team and the youth of the country is getting employed, in return.